While Atlanta is sprawling with towering buildings made of glass and steel, it is truly a city in the forest, dotted with expansive green spaces. Recently named to Lonely Planet's "Best in the U.S." list, this urban oasis is a multi-cultural haven for residents and visitors alike, yet exudes Southern hospitality. Individuals from all walks of life add to the city’s charm and personality. Atlanta began as a railroad terminus and remains a transportation hub, but with a 21st-century, global approach. Hartsfield-Jackson Atlanta International Airport is the busiest airport in the world, and 80 percent of the U.S. population lives within a two-hour flight. 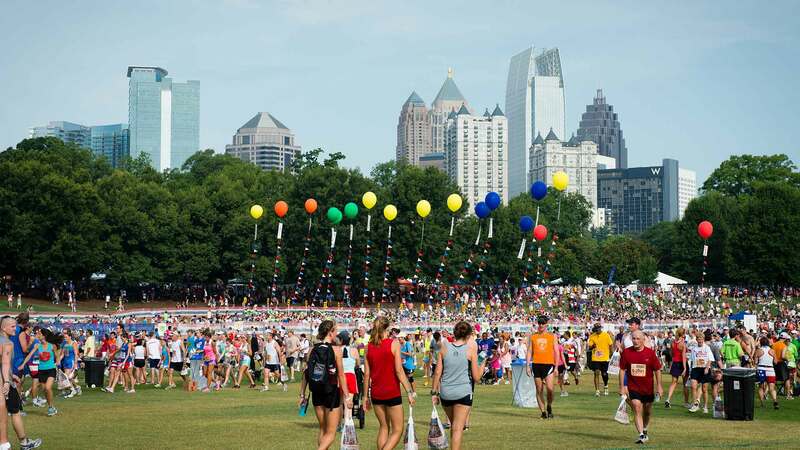 Visitors can roll into Downtown directly from the airport by riding Atlanta’s public rail system, MARTA. Centennial Olympic Park is Downtown’s centerpiece and is anchored by the Fountain of Rings, an everlasting reminder of the 1996 Summer Olympic Games. Next door, attractions surround Pemberton Place such as Georgia Aquarium, World of Coca-Cola and Center for Civil and Human Rights. 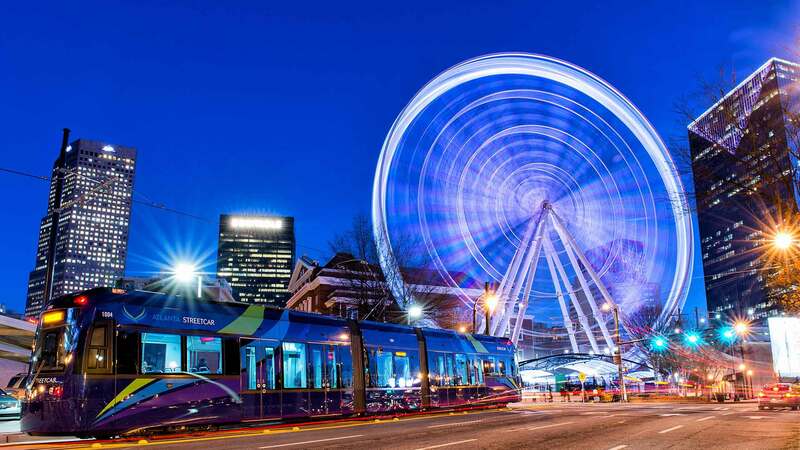 Atlanta Streetcar is the city’s modern-day trolley, carrying passengers from the convention and entertainment district to the eastside of the city. Atlanta sits at the intersection of Southern charm, creativity and sophistication. It is easy to fall in love with this beautiful city – its world-class attractions, award-winning dining and hidden wonders – and be inspired by the city’s endless possibilities. The Varsity is the world's largest drive-in and is the world's largest single seller of Coca-Cola. 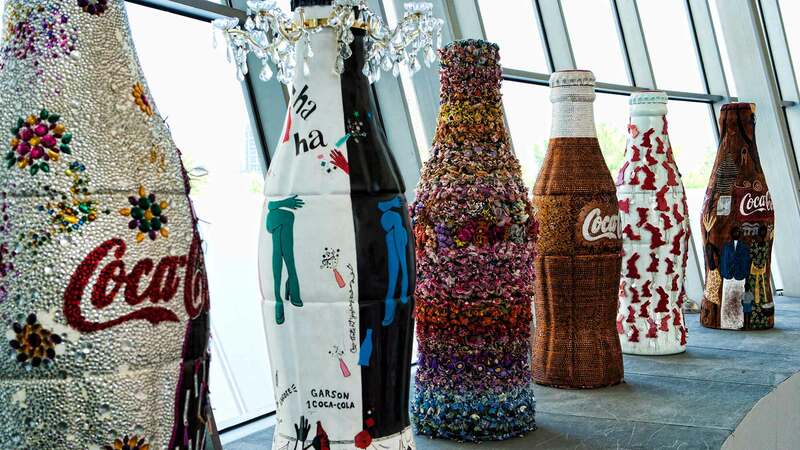 Coca-Cola was invented in Atlanta and in 1985 was the first soft drink consumed in space.